There will be no charge for general exercise books and stationery but School books lost or damaged will be charged for. A non-returnable fee of £100 is required when an application for a place is made. Once a place is offered by the School, a deposit of £2,500 becomes due. The deposit becomes refundable only once a boy joins the School. £1000 of the deposit is taken as part payment of the first term's fees. The remaining balance is refunded following a boy’s last term. 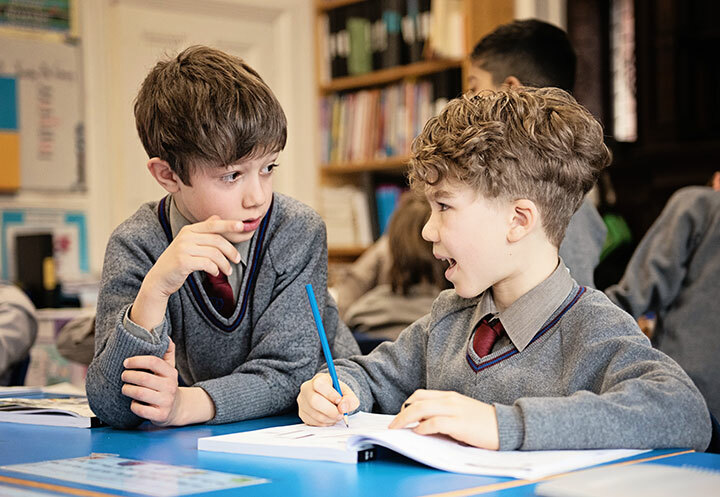 For a boy joining the School, the first term’s fees are due in full by the end of the Spring Term preceding entry. On acceptance of a place, parents agree to the Terms and Conditions as published, and to any other documentation. All fees are payable termly, strictly in advance, and by the end of the preceding term. In the event that fees are not paid by the due date an additional charge of £100 may be levied. Interest will also be chargeable. A full term’s notice, in writing, or fees in lieu, will be required in the event of a pupil being withdrawn from the School or for cancellation of optional extras. Such notice is to be given by the first day of the term and will expire at the end of that term. The School Fees Remission and Personal Accident policies offered are arranged with reputable insurance companies and the School has no direct liability for payments due under these policies. The School reserves the right to cancel any place offered, or to end tuition at any time, by notice to a parent or guardian. The School reserves the right to amend any fees.